The Evolution EHFS Series pumps are a high efficiency pond and water feature pump with maximum flow rates and the best vertical lift on the market. These come with a true 2.5 inch suction and discharge and it comes with quick disconnect unions that allow you to choose 2.5 inch or 2 inch plumbing to meet your application needs. For larger systems, we offer these self-priming pumps with an over-sized integrated basket strainers. The high efficiency, enclosed impellers ensure low cost and high flow performance for many years. All Evolution series pumps come with a high quality motor from a Leeson factory, 9 foot cord (custom lengths are available) and 1 115v molded plug or 230 hard wiring and stainless steel hardware. All Evolution pumps are covered by a one year warranty and include a strainer basket and all unions. The EHFS Series pumps are self priming high pressure/high flow and offer great flow rates and energy efficiency. Extremely quiet these pumps are offered in range of flow rates from 6100 GPH to 12600 GPH and feature a large built in strainer basket/algae trap designed for easy serviceability and installation. 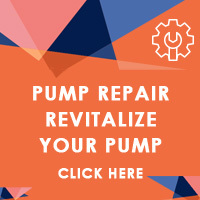 These pumps are some of the most reliable pumps on the market and make the prefect choice for pond and water feature builders. Designed for out of pond applications, these are NOT SUBMERSIBLE PUMPS.